Thank you so much for your lovely birthday wishes! 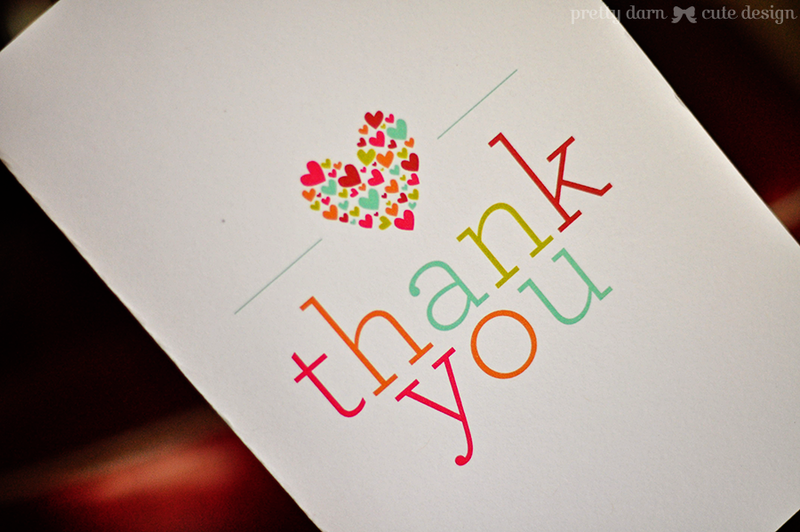 I so appreciate each one. I do have to tell you about the Bass Hall event ~ friends gave my daughter tickets to the play/musical, "The Book of Mormon". Neither of us knew anything about it, at all! It's received rave reviews and won a Tony on Broadway. I cannot even express how shocked and disappointed we were! It was the most disgusting, revolting and, IMHO, sacrilegious show ever! We walked out. The language was over the top profane, descriptions of bodies inappropriate and overall, we both felt it was so disrespectful to our Lord. We are not prudes or religious fanatics but found this to be appalling. Another thing that bothered me was that there was so much clapping and laughing. Our world continues to change, and in so many cases, not for the better. Just could not deal! This is a reminder that there are still wonderful people in our world ~ sort of a statement that humanity is restored for many. I would like to request additional prayers for Brandye, the neurosurgeon and other medical team members. The surgery to repair the vessel in her brain is scheduled for 11:00 a.m. (CST) tomorrow. Praying that the surgery is successful and no additional issues occur. She will return to ICU and more testing will continue. Thank you in advance! Thank you for sharing this wonderful story at Christmas time. and I will say a prayer for sweet Brandye. How awful about The Book of Mormon. I am "out of the loop", too. I assumed it was a religious play based on the Mormon religion. I bet the Mormon community is up in arms. 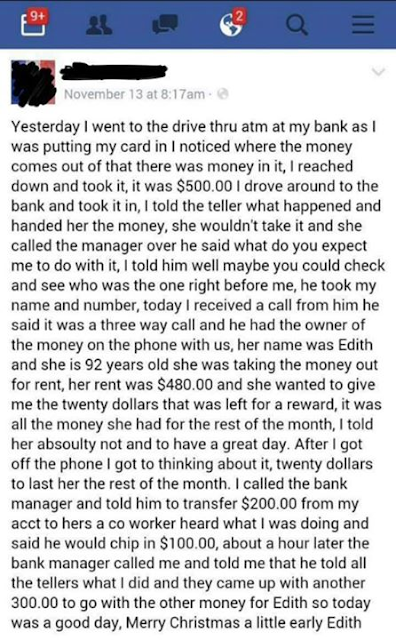 That is a wonderful story about that woman and the good and kind people that stepped up to the plate to make her month a little easier for her. She must have been in a panic when she realized she had lost the $500. I would have left that play too! 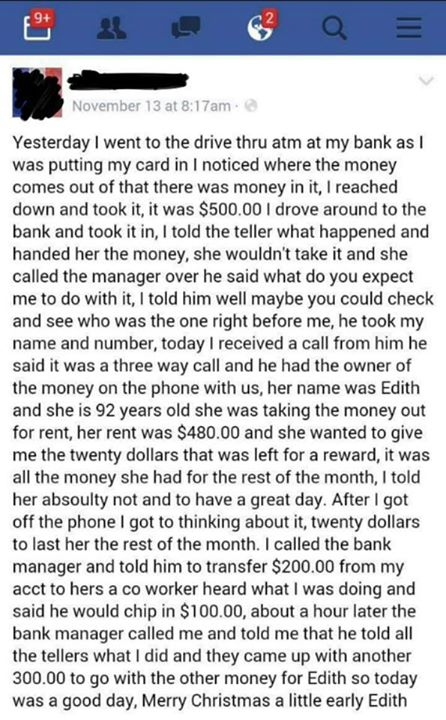 We don't have to stay when we have a choice:) What a wonderful giving story, God bless that sweet lady! Praying at this very moment for Brandye and will continue to pray thru the surgery! Sending HUGS and PRAYERS your way dear friend! Hi Pat, So glad you had a great Birthday and I hope we can continue celebrating you tomorrow. So sorry the play was so bad. I had not heard of this one and for sure won't be going. I would have walked out too. Such a touching story about the gift for the 92 year old. There is still some good in this world. Prayers for Brandye that she do well in the days ahead. What a great and heartwarming story Pat. With all the recent violence this was truly a good story of someone's good heart and love for another human being. Heart warming really to see human kindness step up. Thanks for sharing this with all of us. Prayers for Brandye. If more of us would walk out when there were inappropriate and offensive things around us, what a better world we would have. I am proud to call you my friend for stepping up and walking out. Our world has become so strange and unfamiliar, humor and entertainment comes under such odd labels. Wishing you a belated Birthday and sending prayers for for Brandye. Oh Pat, 🎵Happy Belated Birthday🎵 !!!! I'm so sorry about the play. What a world we live in, right? Thanks for including the wonderful story about Edith. We need to hear those kind of stories more often. Those ?? marks were supposed to be musical notes!! They didn't transfer over. I am so sorry about the play :( But like Christy said, good for you for leaving and taking a stand. The story about Edith is just precious - thanks for sharing!